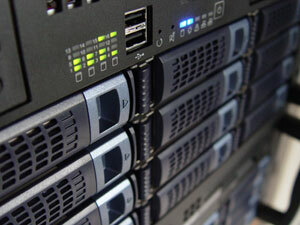 We own and rent dedicated servers for hosting our customers' internet and local applications. This enables us to provide an internet or remote processing solution for your business on virtual, shared or dedicated servers. By using us to host your business server applications, we become your remote IT department. This reduces costs and gives you more resilient business continuity. Business desktops are very expensive to support and manage, even when the end-user is given a standard image. One estimate states that desktop hardware and software expenditure typically account for 20-30% of the total cost of the device, with the remaining 70-80% eaten up by desktop support and maintenance. Then there is the security issue that is someone steals the device, then all that information contained on the device goes with it. By using us for your desktop hosting, we give you a cost effective alternative providing a centrally managed standardised environment for all users and allows remote integration with other business applications. By using a device with a browser, you are able to use your remote hosted desktop regardless of your location, increasing business flexibility. Using a hosted desktop service gives you the advantage of using server side processing and application management. This makes it easier to set up new devices and users, as well as making updates easier to carry out. The life of devices is extended and overall gives a significant cost reduction and service improvement. Support is better in that a local presence is less likely to be needed to sort out problems as most problems can be managed on the hosted server. We host several of our servers through iomart who offer 99.95% network availability on their dedicated servers. If you have any questions, just give us a call on +44(0)161 447 8845 and we get back to you as soon as possible.